Great looking pillow rustic design. Great item for lounging around in the Parlor or bedroom. 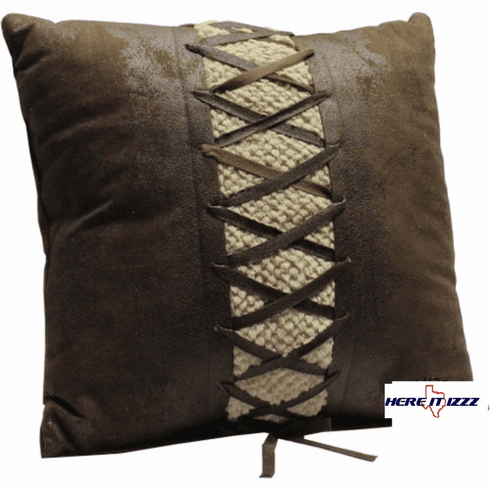 Crafty looking 18x18 in leather look pillow that appears to have been laced around burlap.